All it takes is one trip to Nashville to discover there is so much more to experience than just country music. While the music scene is an important part of the lifestyle, it’s just the tip of the iceberg as these attractions prove just how diverse the entertainment community in Nashville really is. Even if you don’t book a room at Gaylord Opryland, it’s worth checking it out. The resort has a spa and salon, a golf course, swimming pools and a state-of-the-art fitness center. But the most impressive part is the inside of the hotel. With nine acres of indoor gardens that feature more than 8,000 tropical plants and cascading waterfalls, visitors will experience a magnificent view. There’s also a quarter-mile long indoor river that takes guests around this visual masterpiece. Also called the “Smithsonian of country music”, the Country Music Hall of Fame and Museum is one of the downtown area’s most popular attractions. The main exhibit at the museum is Sing Me Back Home: A Journey Through Country Music, which takes visitors through the history of country music with photographs and artifacts. Limited engagement exhibits are also featured throughout the year, alongside programs and events for adults and children. These offerings take place at the Taylor Swift Education Center, the CMA Theater and the Ford Theater. Often referred to as the “Mother Church” of country music, the Ryman Auditorium is named after Nashville businessman Thomas G. Ryman, who first opened the venue in 1892 as the Union Gospel Tabernacle for revivalist Samuel Porter Jones. It was the home of the Grand Ole Opry from 1943 to 1974 and became a National Historic Landmark in 2001. Today it serves as a 2,362 seat live music venue that hosts singers, songwriters and musicians from near and far on a nightly basis. Since 1994, the Wildhorse Saloon has been Nashville’s premier dance destination. With 66,000 square feet of space, the venue offers free line dancing lessons and books live music to be enjoyed from each of its three floors. It’s got a full-service bar and restaurant and also serves as an event space for parties and special occasions. Inside the venue are horse statues that often find themselves as photographic accessories for visitors’ selfies. Back in 1897, the Nashville Parthenon was built in Centennial Park for Tennessee’s Centennial Exposition. The 42-foot Athenian replica is the pinnacle of classic architecture, with plaster replicas that are direct casts of the Parthenon Marbles that are found in the original sculpture. The originals are housed in the British Museum in London. The building also serves as an art museum, showcasing 63 paintings by 19th and 20th century American artists. For 22 years, Maestro Kenneth Schermerhorn led the Nashville Symphony. Today the building, named after the late Maestro, stands in Nashville’s SoBro neighborhood downtown. Construction on the Symphony Center began in 2003 and it was officially opened to the public in 2006. The design of the building was inspired by concert halls that were built in 19th century Europe. The main venue is the Laura Turner Concert Hall, which is one of the few halls in the country to feature natural interior light through 30 soundproof windows. The hall also has a custom-built concert organ, a special choral loft behind the stage and a convertible seating system. Country music artist Kix Brooks of the duo Brooks and Dunn, along with entrepreneur John Russell and winemaker Kip Summers, established Arrington Vineyards in 2003. Kix purchased farm land that was adjacent to the original vineyards and the three men began work on the winery. In 2007, Arrington was officially opened for business. Two years later, “Kix’s Wine Club” was started and today, club members receive wine in 35 states across the country. The vineyard, which is located in the Greater Nashville area in the city of Arrington, offers free wine tastings and hosts live music from local artists. Kix has been known to make frequent appearances. Southern states, especially Tennessee, are known for spicy chicken. 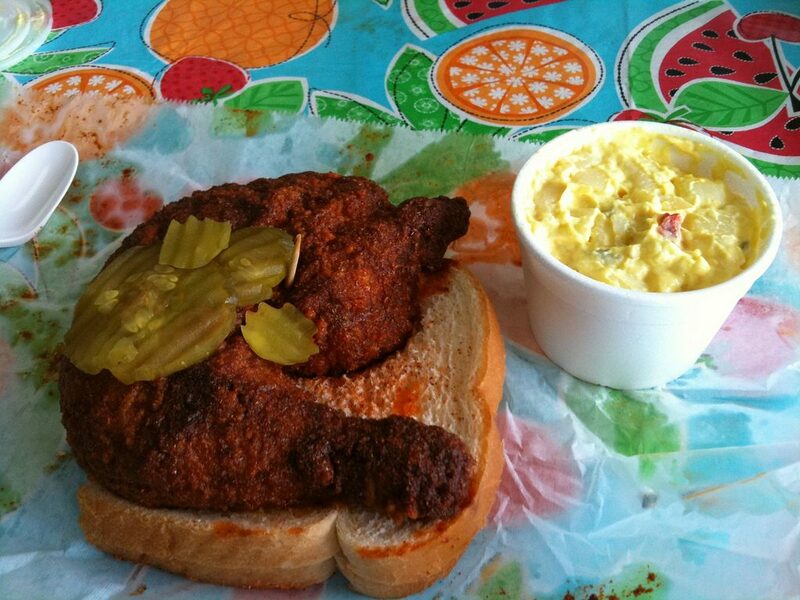 In Nashville, Prince’s Hot Chicken Shack is where it’s at. Started by a ladies’ man named Thornton Prince, the restaurant serves hot chicken that ranges from mildly spicy to off the charts hot. Prince’s great niece, Andre Prince Jeffries, still heads up the legendary restaurant, which is open until 4:00 a.m. on the weekends. Now a 55-acre botanical garden and art museum, Cheekwood was once the family home of Mabel and Leslie Cheek. It was originally built in 1929 and converted to a museum of art and botanical garden in 1960. Over 250,000 people visit Cheekwood Botantical Garden each year. The garden is located on the historic Cheek estate and features programs and activities for all ages. Some of the special sights that attract visitors include 150,000 blooming bulbs in the spring and 1 million holiday lights in the winter. Former president Andrew Jackson and his wife Rachel lived in Nashville after marrying. In 1804, Jackson purchased a piece of property from his neighbor, Nathanial Hays, that would someday become The Hermitage. The 425-acre farm was originally a brick, Federal-style house that was typical of plantation dwellings for farmers in the upper south. A major restoration was done on the Greek Revival mansion between 1989 and 1997, however, original furniture, wallpaper and family possessions still occupy the home today. The Frist Center for the Visual Arts opened in 2001. The family-friendly venue has a rotating schedule for its exhibitions, showcasing new art from regional and international artists every six to eight weeks. In addition to the main floor that displays works of art, there’s the Martin ArtQuest Gallery on the upper level, which is an area specially designed for children. It offers 30 interactive stations that allow children to paint, sculpt and print their own art. The center also has a gift shop and cafe. Translated to mean “beautiful meadow” in old English and French, the Belle Meade Plantation was founded in 1807 by John Harding. The property started out as a single log cabin on 250 acres and grew to become a 5,400-acre thoroughbred horse farm that had a Greek Revival mansion, train station and deer park. Presently, the plantation retains 34 acres of the original property, including the mansion and the original homestead. Even though it’s located in a small strip mall, the Bluebird Cafe is one of the most iconic music venues in Nashville. Almost every aspiring songwriter has heard of the Bluebird Cafe, adding it to their list of places to perform with the hope of making it big. Several well-known artists, including Garth Brooks, were discovered at the venue on open mic or songwriter nights. In 2012, the Bluebird Cafe made its prime-time debut, being featured on the television series Nashville. Tennessee’s Bicentennial Celebration was on June 1, 1996. The Bicentennial Capitol Mall commemorates the event. The 19-acre park features a 200-foot granite map of Tennessee, a World War II Memorial, a 2,000 seat amphitheater and a 95-bell Carillon. There are a variety of events scheduled at the park throughout the year, including the Tennessee History Festival. With more than 175 exhibits, the Adventure Science Center is a non-profit, independent science and technology center. There are 44,000 square feet of space that feature hands-on displays geared towards children. Exhibits cover information on astronomy, biology, earth science, weather and space. The Sudekum Planetarium provides shows that use an optical star projector to produce 6.5 million stars, and the BodyQuest exhibit explores the human body and its many functions. What was once the first Roman Catholic cathedral in Nashville, Holy Rosary Cathedral, is now the Tennessee State Capitol. Designed by Philadelphia architect William Strickland, and completed in 1859, the building was modeled on a Greek Ionic temple. 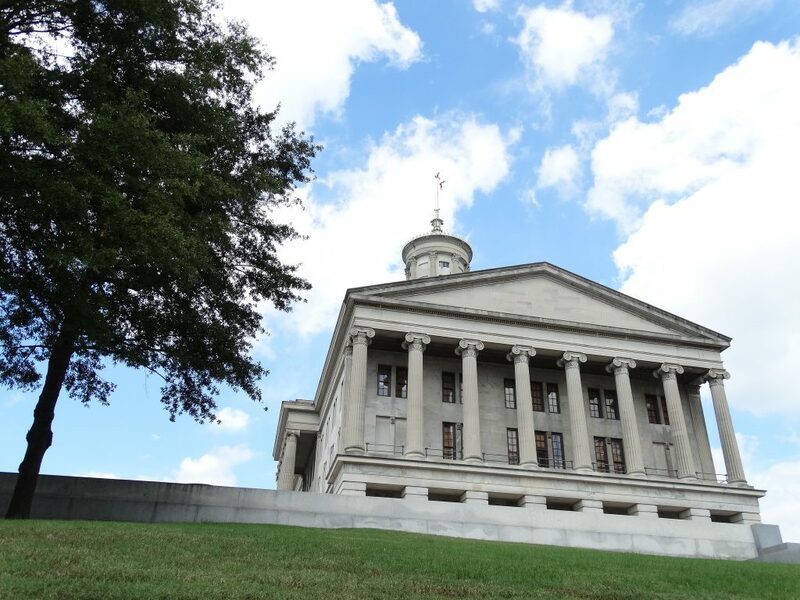 It’s where the governor’s office and the Tennessee legislature are located. There are several monuments on the Capitol grounds, including the Tennessee Holocaust Commission Memorial and the Sam Davis Memorial. Statues of former U.S. Presidents Andrew Jackson and Andrew Johnson are on the Capitol grounds, and President James K. Polk is buried in a tomb at the Capitol, along with his wife, Sarah Childress Polk. There have been three Catholic cathedrals in Nashville. The first was Holy Rosary Cathedral, which is now the site of the Tennessee State Capitol. The second was Saint Mary’s cathedral, which is located downtown on the corner of 5th and Church Street. The third Catholic cathedral in Nashville, Cathedral of the Incarnation, was dedicated in 1914. With Italianate architecture modeled on the Roman basilica, the church began construction under the direction of Bishop Thomas Sebastian Byrne in 1910 and has undergone two major renovations. The cathedral has traditional Catholic masses and hosts occasional music performances by local college singing groups. It’s one of the few places in Nashville where there is always a line out the door that curves around the block. Since 1961, Pancake Pantry has served the Hillsboro Village area, offering its famous pancakes and other breakfast and brunch foods. The menu is full of creative options such as sweet potato pancakes, banana bread pancakes, sugar and spice pancakes, and Caribbean pancakes. Other menu items include french toast, blintzes, sandwiches, and the option to make your own omelet. Back in 1817, a museum opened on the Nashville public square by portrait artist Ralph E.W. Earl. In 1823, a young boy who visited the museum wrote home about a life-size painting he saw of then General Andrew Jackson. That same painting is currently on display in the Tennessee State Museum. The museum was originally located in the lower level of the War Memorial Building, housing World War I mementos and other collections from the Tennessee Historical Society. It was moved in 1981 to the James K. Polk Center, where it now has more than 60,000 square feet full of exhibits. Situated along the riverfront downtown, Cumberland Park is an innovative play space for children. The 6.5 acre park has an outdoor amphitheater, a stone climbing wall and a cooling off area known as The Scoops. There’s a washboard activity area, a place for sand play, a green maze and an interactive splash pad. Kids and their parents can also enjoy a tandem see-saw and stroll down The Explorer Trail that weaves through plant groves and meadows.